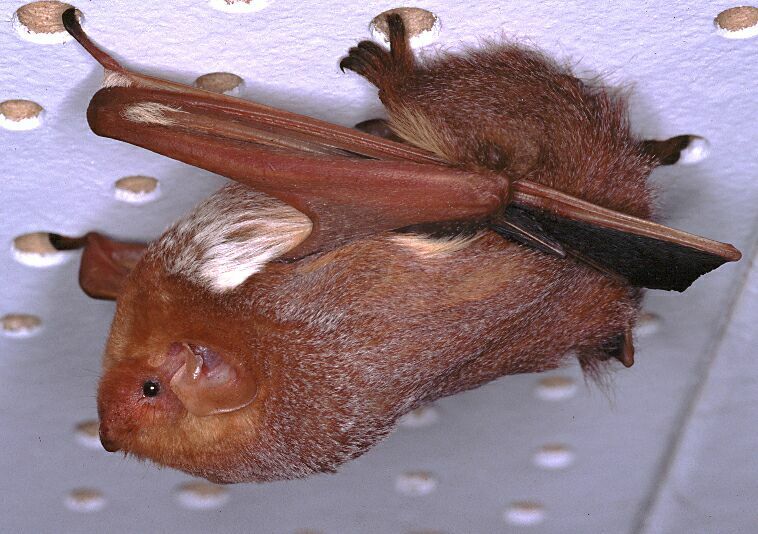 Red Bat is the most common woodland bat in the Windsor region. This is one of North America's most beautiful bats. Males are bright brick red with prominent creamy shoulder flashes. Females are similar but less brightly coloured. This species does not enter buildings and roosts in the foliage of mature trees. Like Hoary and Siver-haired Bats these bats migrate south for the winter. During migration, nights are often cool with little insect activity. 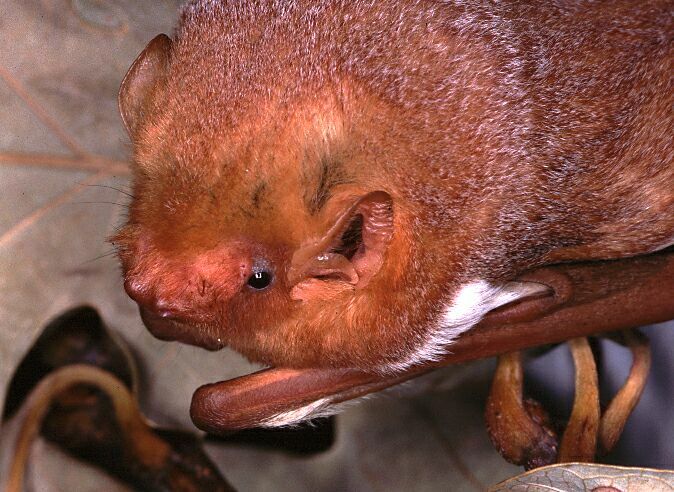 At these times Red Bats are often seen feeding in the daytime. The wing and tail membranes are used to scoop up their prey. This Red Bat is hanging from the ceiling of the nature centre.